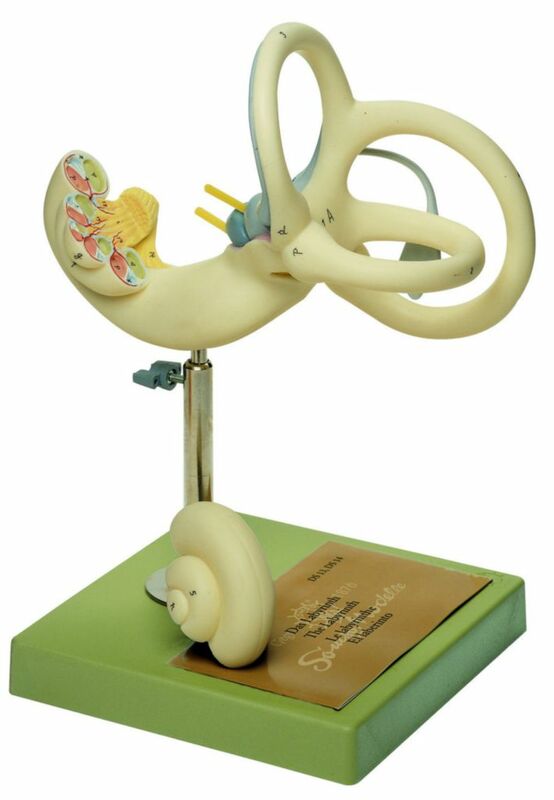 Present a comprehensive picture of ear anatomy and the physiology of hearing by combining study of this model with a general ear model. With 18x enlargement, the details of the semicircular canals, vestibule showing the saccule and utricle, and the longitudinally sectioned, two-part cochlea are clearly displayed. The two-piece model is mounted on a stand and can be removed for closer examination.